The title tracks aren’t my favorite tracks(VVIP and 어쩌라고), actually I could do without them. They have heavy synth beats. I was suprised that they didn’t sound exactly like Strong Baby, but it definitely had a new style from the standard K-Pop sound. I was so happy when I heard this wasn’t produced by Teddy, because his sound is starting to sound redudant. 어쩌라고 is pretty club sounding with the synth. It reminds me of something Jason Deulro might sing. I like it more after a couple listens than VVIP. Open the Window (feat. G-Dragon) is the best track on here, better than his selected title tracks. It’s very laid back and I like the way G-Dragon’s rap has a different beat than the rest of the track. MAGIC does have that Teddy touch, but it’s a decent track. This doesn’t have as much heavy synth, but it’s an okay track. What?! A YG artist collaborated with a person outside of their company? What a breathe of fresh air. I Know (feat. IU) is a cute duet that blends the soft vocals of IU and Seungri’s deep voice. I was surprised how well they sounded together. This is another stand out track, but it’s not my favorite track.White Love totally reminds me of a Big Bang track that’s missing all the other members. I don’t really like this song because it reminds me of an American song that I can’t think of at the moment. Well Seungri outdid himself with Outro(In My World). Since I’m not really a fan, I wasn’t expecting too much and then I listened to it and I was blown away. It’s more of an ballad. I think this was a nice way to end the album with a song for the fans. Overall I was pretty impressed with this mini album. 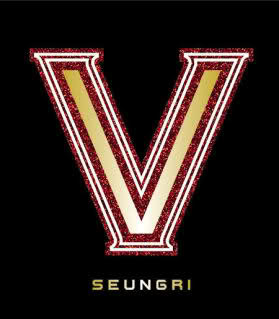 I can’t wait for Big Bang to release their new album. I would give this a 3.5/5 because while I did like some songs, some of them reminded me of other members and that’s not what I wanted when I was listening to his album.